Before I became a recording artist and label owner, I managed a Web design team of 50 people in the world’s largest Internet company. I saw how you can spend thousands on building a web site, but there is a much simpler way at a fraction of the cost. Register your domain name. I recommend BlueHost as they offer a free domain when you take a hosting package with them (see Step 2). If your artist or band name is taken, consider adding “music” to the end of it (e.g. riversmusic.com). 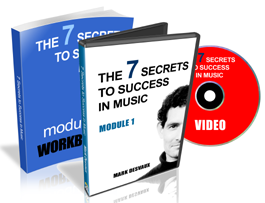 It’s tried and tested by many artists and most importantly you become easy to find on Google. Also consider “.music” domains although these will be more expensive to buy. Remember to budget for the annual renewal cost each year for your domain name but it’s less than under $10 / £10 per year, so a valuable investment for next to nothing. Register an account with a web hosting company. In a previous life, I ran a division of 70 people who created web sites and set up servers. I’ve tried pretty much all of them over the last twenty years and my hosting company of choice is BlueHost. Good value, reliable, great support and amazing tools. If the idea setting up software makes you run a mile, you’re better off using WIX. 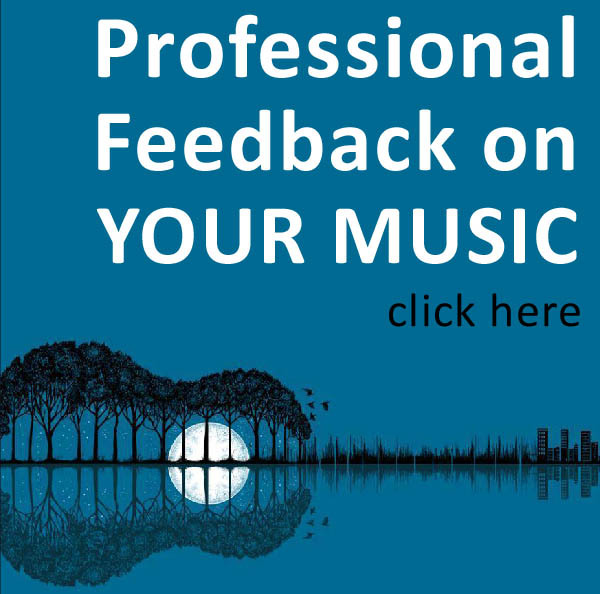 They offer over 40 music templates and it is really quick to get started. A lot of my clients use WIX and love it. I love WordPress as anyone can use it and it does not require any real technical knowledge to get going (creating web pages is like writing in a word processor). WordPress is called a “CMS” which stands for Content Management System. Install WordPress in your Bluehost account. WordPress is by far the easiest way to set up and managed a web site (and blog), without having to rely on a designer or best friend. In your Bluehost control panel, use the “one-click” install – it really is that simple. As you get more adventurous, you can grow your WordPress site by adding Plug-ins which bolt-on to your web site. There are thousands of them, many of which are free. For the musicians, you could added anything form a music and video players to gig listings database, mailing list tools, a media gallery, and even a comprehensive music and merchandise store to make money directly form your web site. If you go with WordPress, you’ll need to also choose a “music theme”. A theme is a web site template designed for WordPress which gives you a ready-made website-in-a-box. In many case you just add you logo, add your own text and your ready to launch. You can completely customise the site – including font and colour schemes, but you can have a basic web site up and running in an afternoon. I recommend choosing a professionally designed Music WordPress theme at ThemeForest (type in “music” in the search box to discover over 650 themes!). What I like about ThemeForest is the support – you get to ask the creator of the site template questions and most are very supporticve and helpful. I’ve used a ton of theme for my music web site and have been really impressed. You can get free WordPress themes, but I have found it pays to get a professional template. It enhances your brand and you do get what you pay for. The one-off cost for a good theme is typically between $30 and $60. Most music themes have built-in audio players, gig calendars, photo galleries, soundcloud plug-ins, social media integration (facebook, twitter etc), biography and discography page templates – all of which can be turned on or off depending on your needs. Some even have a built-in shop to sell your downloads and merchandise (with 100% of sales going to you). They also look amazing, using the latest web code. It blew me away when I leant that more people now access the internet on a mobile device than a computer. Make sure you buy a music theme that is “Responsive”. This means that it can be viewed on any screen from an iPhone / Android right up to a huge monitor. Don’t underestimate the importance of this… Google are now penalizing web sites that are not “mobile friendly” which means your site will slip down the Google ranks. Fall off page one on Google, and it’s almost as if you don’t exist! (I’ll cover more about search engines in future post). Add your own text, images, links and logo (if you don’t have one, I recommend 99Designs – it’s amazing. You get multiple professional designers all creating a logo based on your vision. You then pick and only pay for your favourite). You are now ready to unleash your web site to the world! Good luck! When you have your web site up and running, post a link to it on my Facebook page to celebrate it’s launch. 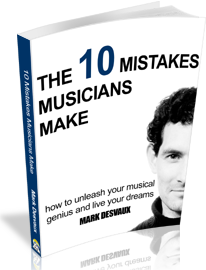 Do you have any other music web site tips? Join the conversation below. This is a really useful suggestion for starting a website on a budget. But there is a whole bunch of template site builders out there that both look good and are really user friendly such as weebly. You can even host the site with them all fro free. The only cost is if you want to use your own domain name then you’re also gonna need some hosting. Thanks for your comment Twin Deck. You are totally right about the template site builders. I have tried these as well and have found that for those few extra dollars the premium sites can give you a lot more flexibility and functionality as things start to grow – and can save you money in the long run. I love Weebly – they offer free sites with the aim of eventually signing you up to a premium package when you need more functionality, so either way you end up paying. If you wanted an audio player for example (an essential for music sites), you’d need to sign up to Weebly’s “Pro” package (see the feature list here: http://www.weebly.com/#plans/compare). So you’d be spending $12 a month ($144 / year) versus buying your own premium WordPress site for less than $50 (all in, no recurring costs). However Weebly is the perfect solution for those not confident doing their own WordPress site (or installation). What is great is there are so many options! When I first started out, I have to learn how to code HTML to build the band’s site! It is amazing how things have evolved in such a short period of time! Thanks again for your comments, and keep ’em coming!